Kobe Bryant is a huge soccer fan and even played while growing up in Italy. 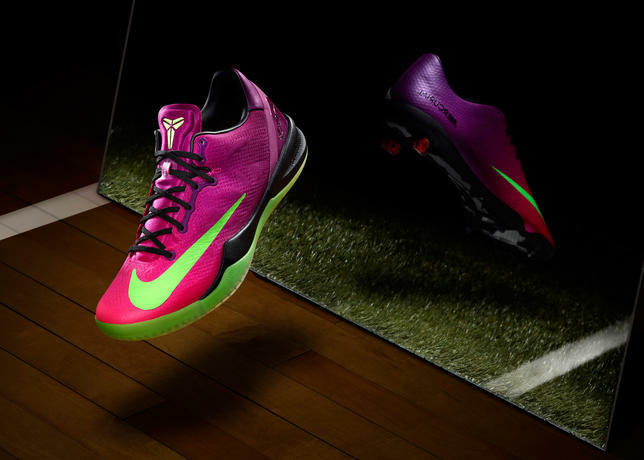 Nike honors Kobe’s love of both basketball and soccer with the Kobe 8 Mambacurial, which is a basketball shoe inspired by the Nike Mercurial Vapor IX football boot. 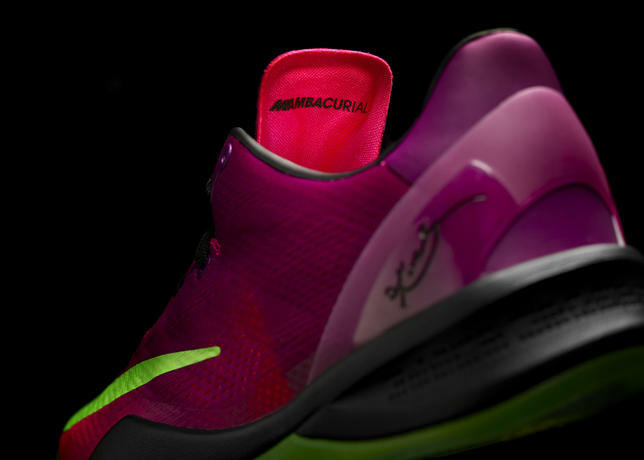 The Kobe 8 Mambacurial fuses key design attributes of basketball and soccer shoe uppers and includes a number of details borrowed from the Nike Mercurial Vapor IX. 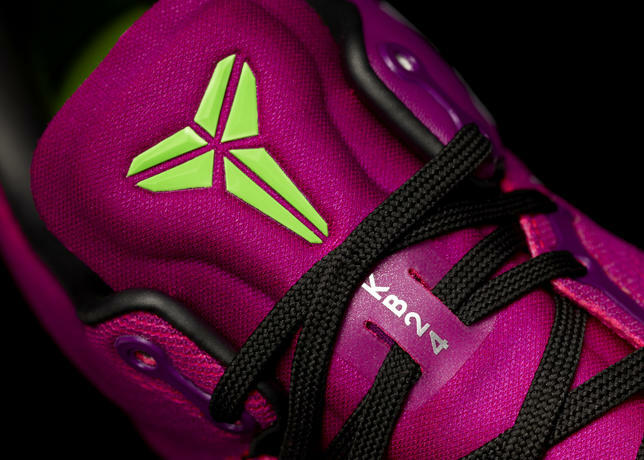 The striking Fireberry colorway is taken straight from the soccer boot and applied to the Nike Engineered Mesh upper of the latest Kobe Bryant signature shoe. Oversized white “NIKE” script appears on the medial side of each shoe, and an electric-lime Swoosh shifts from the side to just over the toe. “Mambacurial” is notated on the backside of the tongue, and the upper rests atop a grass graphic and translucent green rubber outsole. The shoe is now available at select retailers and nike.com internationally; in North America, the shoe will be available June 7. This entry was posted on May 20, 2013 by He Who Wins. It was filed under Fashion and was tagged with fashion, kobe 8 system, mambacurial, nike, Shoes.